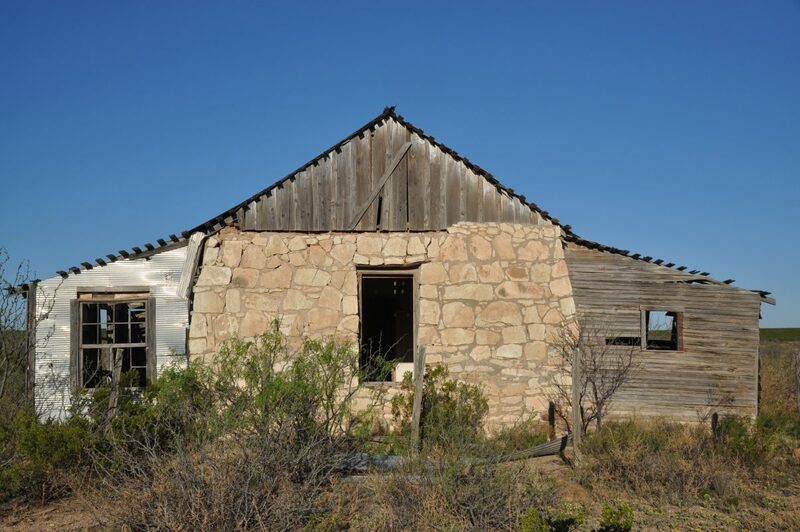 Alpine High Ranch is part of the historic Townsend Ranch. The Hudgins family was granted this property as payment for building a fence around the huge historic Townsend ownership. 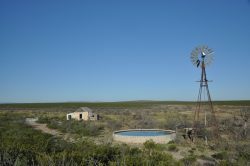 The ranch fronts on Highway 67 between Fort Stockton and Alpine, with the entrance just 18 miles south of I-10 and 26 miles from Fort Stockton and its regional amenities. 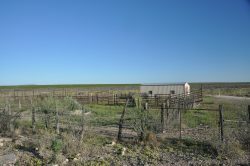 The ranch has a major drainage, Coyanosa Draw, that crosses the property and is adjacent to some of the largest ranches in the Trans Pecos, including the Elsinore and Leoncita Ranches. Center Pivot Irrigation is operating adjacent to the south with 1,000 gal/min wells confirming the amazing groundwater resources. 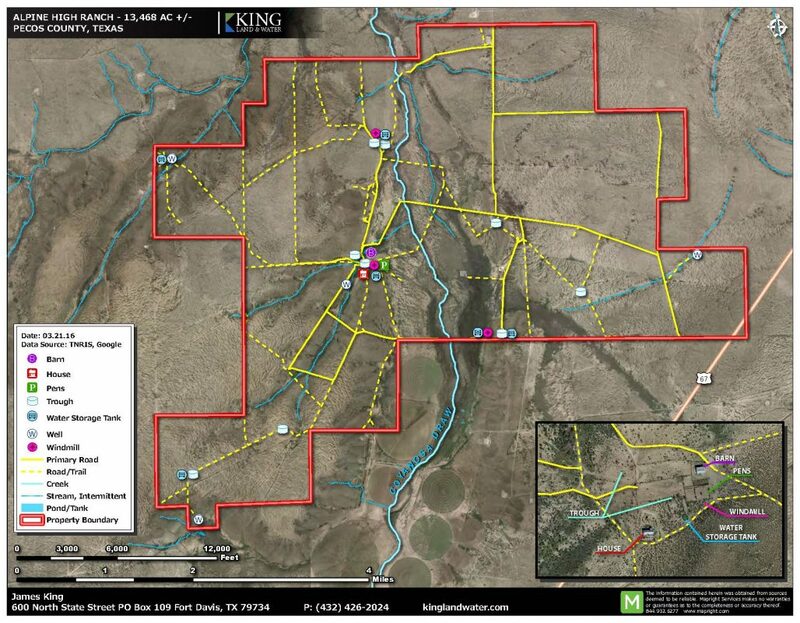 12,177.60 Acres Owned and 1,290.83 Acres Leased in Pecos County, Texas. 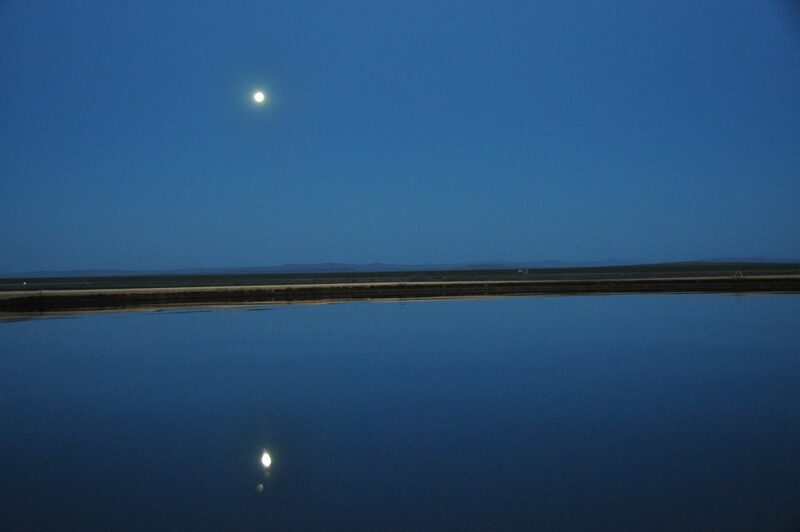 Alpine High Ranch lies over a freshwater aquifer and represents a diverse landscape of deep bottom soils along the broad gravelly flats, limestone hills with commanding views of many of the area mountain ranges, including the Del Norte, Glass and The Davis Mountains. 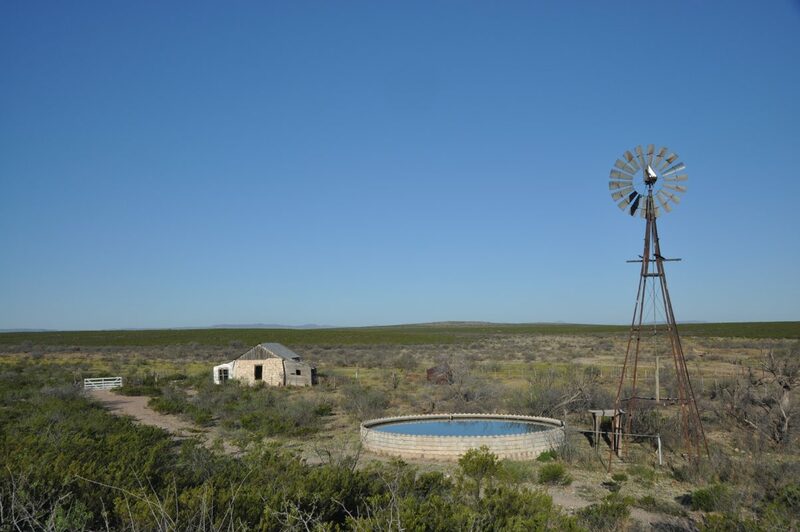 This cow country hunting ranch is very accessible, yet you can hide away in the many interesting secret draws and cover where you will find abundant populations of desert Mule Deer, Elk, dove, and the wily Blue Quail. 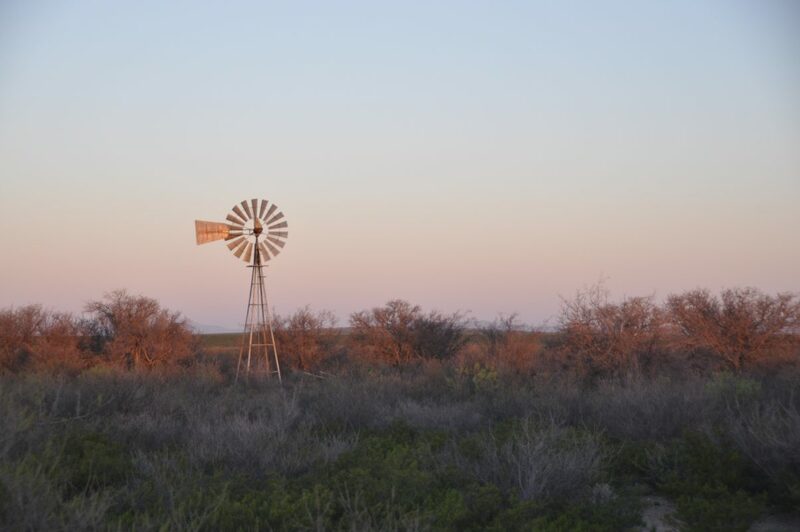 The ranch has a tremendous road infrastructure and, with just a corner of the ranch located along Highway 67, it is very private but extremely accessible. 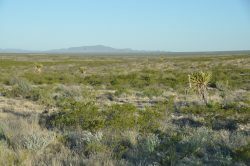 The topography of the ranch is a broad open valley with several limestone hills, cut by broad wooded draws and elevations ranging from 3,500 feet to 3,100 feet, which makes for a wide variety of soils and a very interesting mix of habitats. The ranch to the south has several center pivot irrigation fields right up to the fence-line, accessing the same aquifer under this ranch, the Hovey Channel. 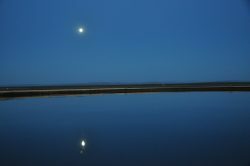 There are several areas where this could be replicated along Coyanosa Draw as there is a huge amount of relatively shallow fresh water, with deep soils. 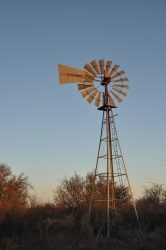 The ranch has a number of windmills and solar wells. Electricity is located at the southwest corner and an excellent submersible water pump produces from only 220 feet. 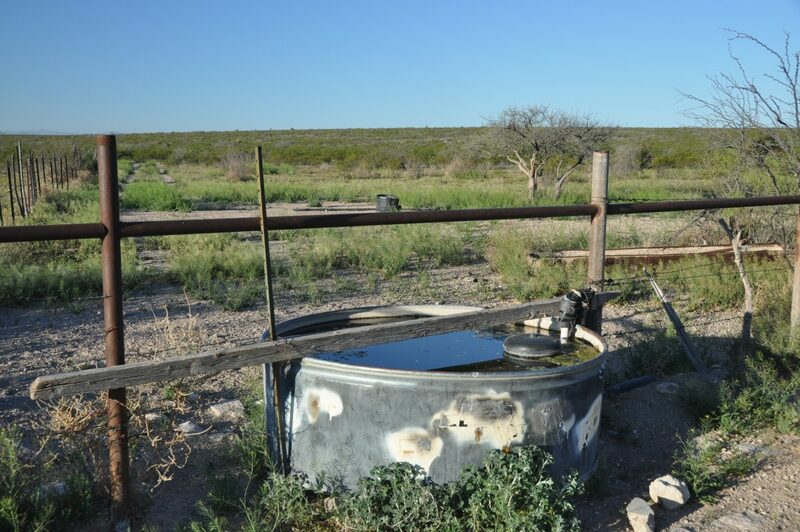 There are several dirt tanks on the ranch with room for many more. 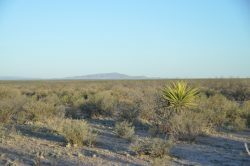 Monsoon rains come in the summers, providing for an excellent growing season of a wide variety of Chihuahuan Desert plants, shrubs, and grasses. 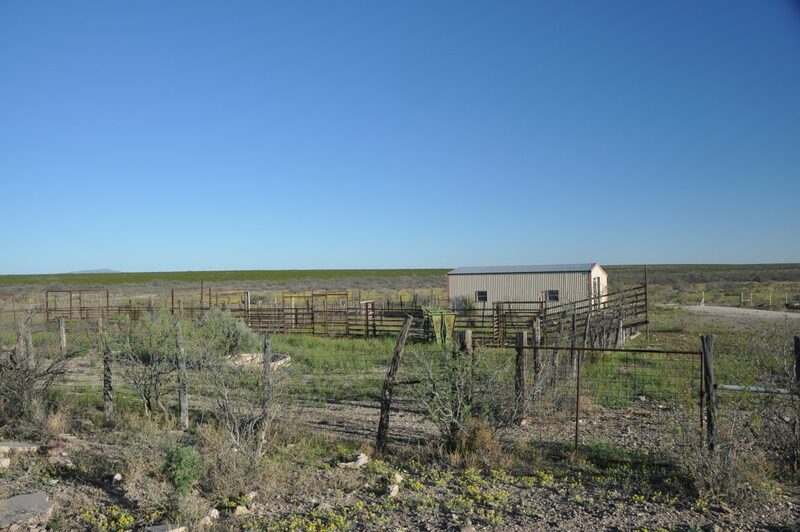 There is an extensive road network on the ranch and the exterior fences range from new to functional. 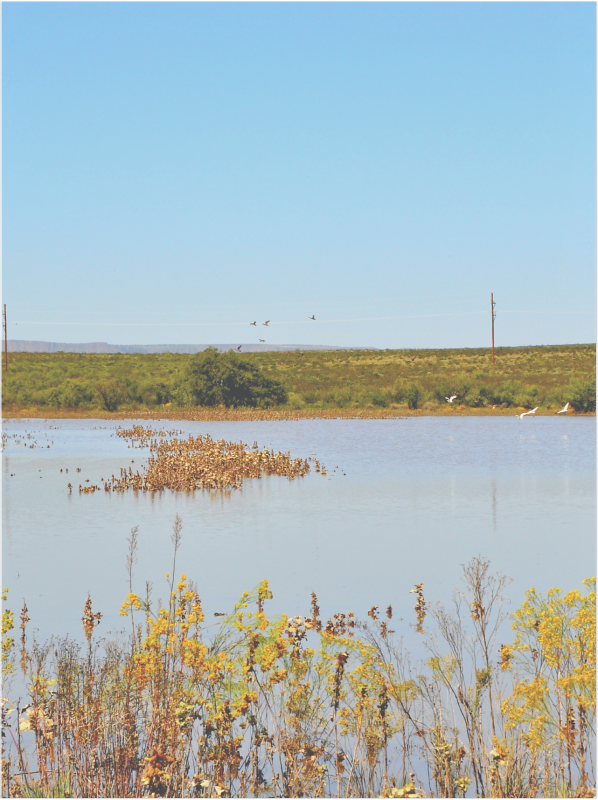 Several caliche gravel pits will provide significant materials for future needs. 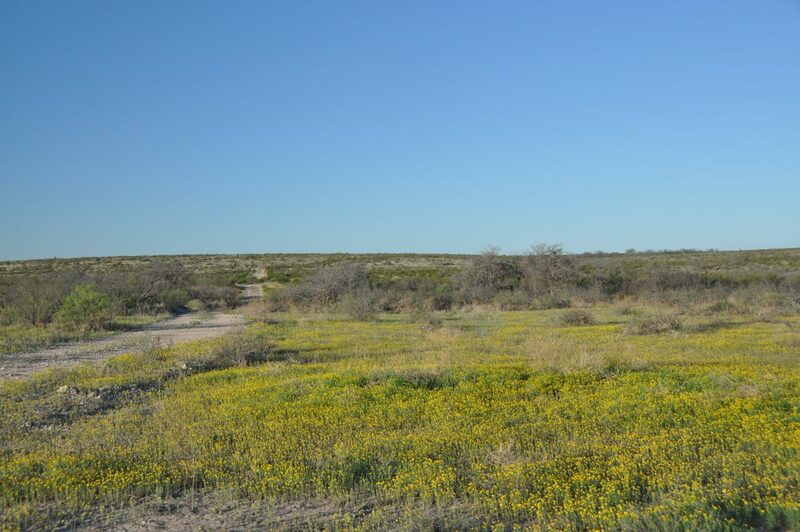 The owners have built extensive all-weather caliche roads. 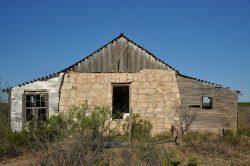 There is a great metal barn, as well as a set of pens and a historic rock ruin, and many places to build a new lodge or headquarters. The landscape consists of one-half foothills to the Glass Mountains and the other half deep-soil bottom land. This ranch lies at an elevation that supports a mix of vegetation from the mid-Chihuahuan Desert such as century plants, Spanish dagger, yucca, agarita, sotol and cholla, with a dominant gramma grass mix and scattered bush/trees, including creosote, mesquite, hackberry, and soap berry. Native grasslands provide excellent forage for livestock as well as habitat for Mule Deer and native birds and mammals. 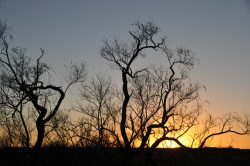 The ranch also has several ridges and hills rich in a diversity of rocks and minerals, including many types of agates. 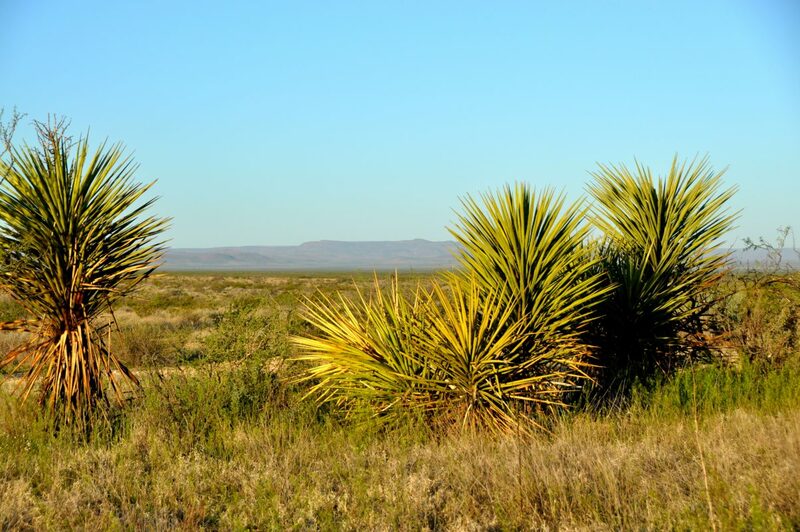 This is Chihuahuan Desert grassland and scrubland at its very best. The grasses, forbs and brush provide excellent habitat for game and non-game animals and birds. Mule Deer and Elk are the primary game animals. Coyotes, javelina, bobcats, and badgers are all also present. Blue (Scaled) Quail and Doves are the game birds. Raptors include Golden Eagles and wide variety of hawks, neotropical migratory birds, such as orioles, hummingbirds, warblers, flycatchers, and many others make for a wonderful birding experience. The ranch lies over a tremendous freshwater aquifer, both shallow and deep. 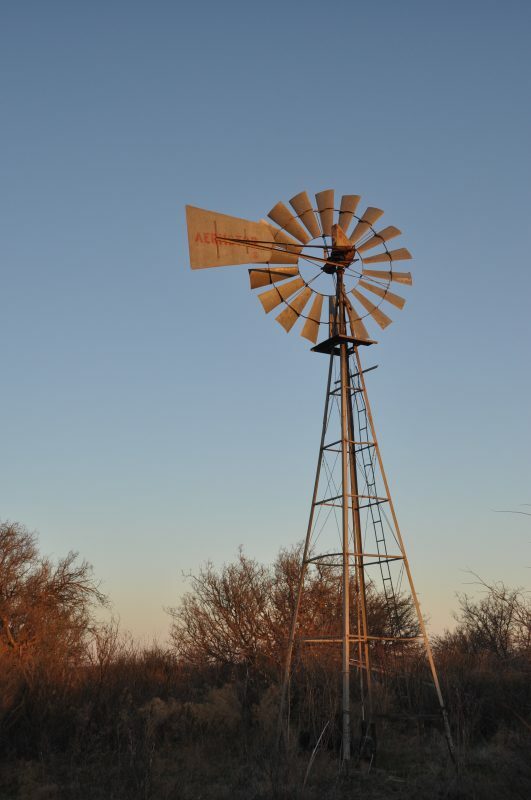 There are three windmills, one solar pump, two generator pumps, and one electric submersible. 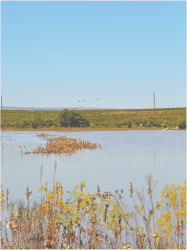 Water is distributed to several storage tanks and water troughs for wildlife and livestock. Development of irrigated alfalfa and other wildlife forage could greatly enhance the Deer and Elk populations. 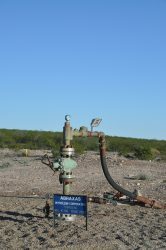 The water and soils are there, and with gas wells on the ranch, natural gas pumps could provide the energy needed to develop the irrigated cropland component. 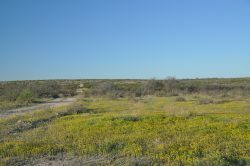 This ranch gets its name from the newly discovered Alpine High geologic region of West Texas where this ranch is located. 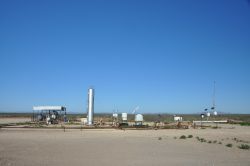 There are active rigs within eyesight of the ranch today both west and south which are using horizontal technology in nontraditional shale zones. 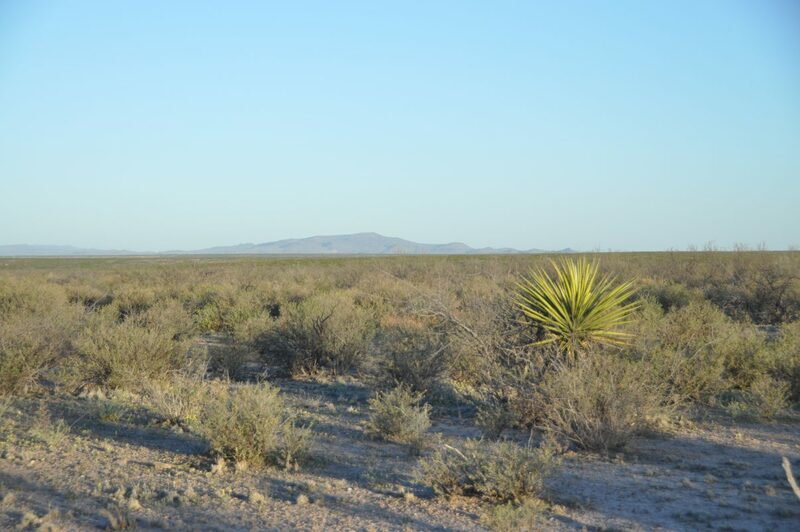 Seller has access to 3D Seismic that covers the entire ranch and can be made available with the purchase. 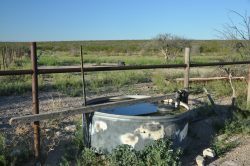 The older traditional wells on the ranch have been and are being cleaned up and plugged, leaving clean and orderly remaining production facilities. 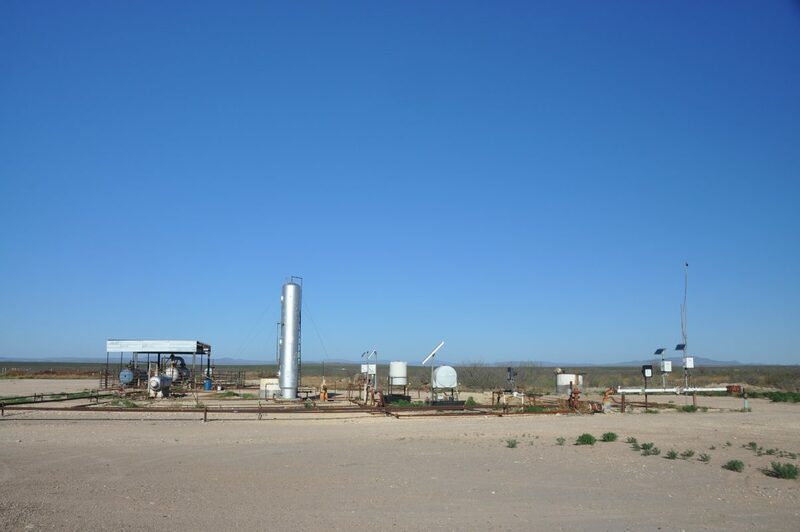 There is one shut-in well on Section 34 with a two-year lease term and a 1/4th royalty. The remainder of the ranch is unleased. 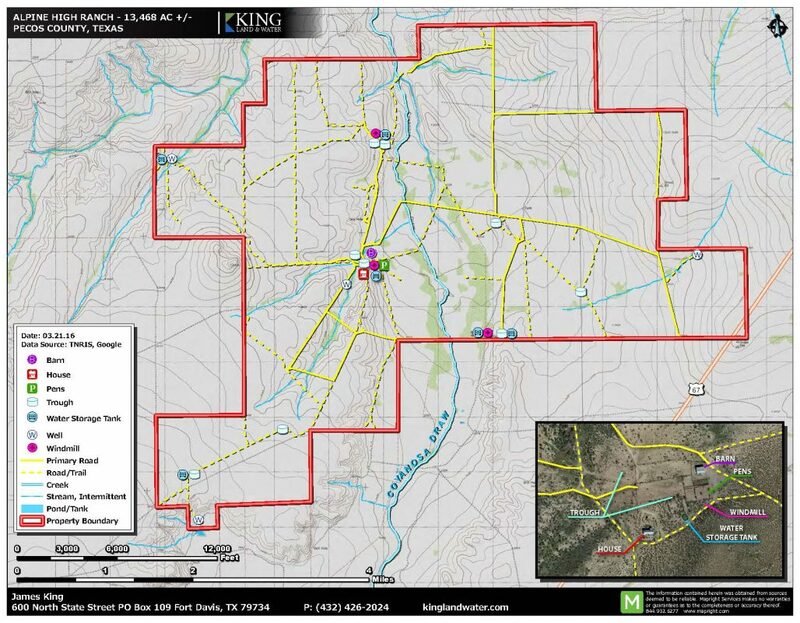 There is also a surface use agreement over the ranch, covering gas and water line right-of-ways and salt water disposal operations. The Seller owns 25% of the Fee Minerals which includes executive rights and will convey all that they own or approximately 2,269.88 Net Mineral Acres. 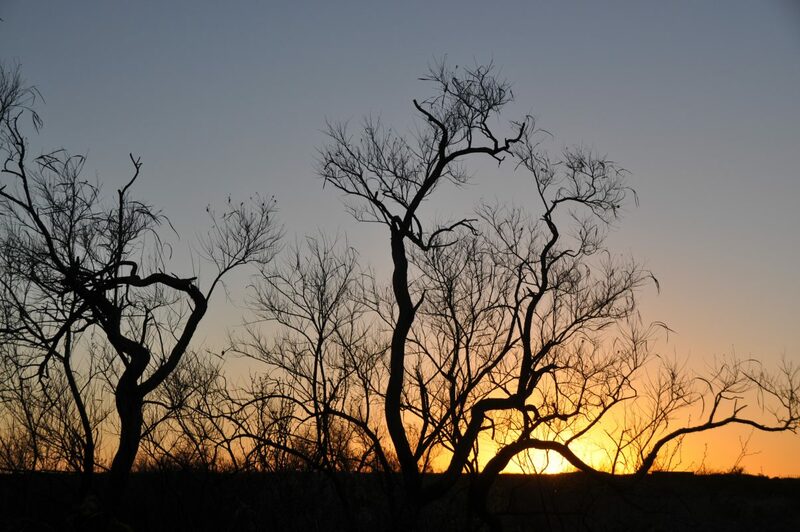 Additionally, there are also 3,098.10 acres of Mineral Classified state minerals on the ranch. Rarely do you get a chance to own minerals in an area where a single future lease could be an economic game changer. 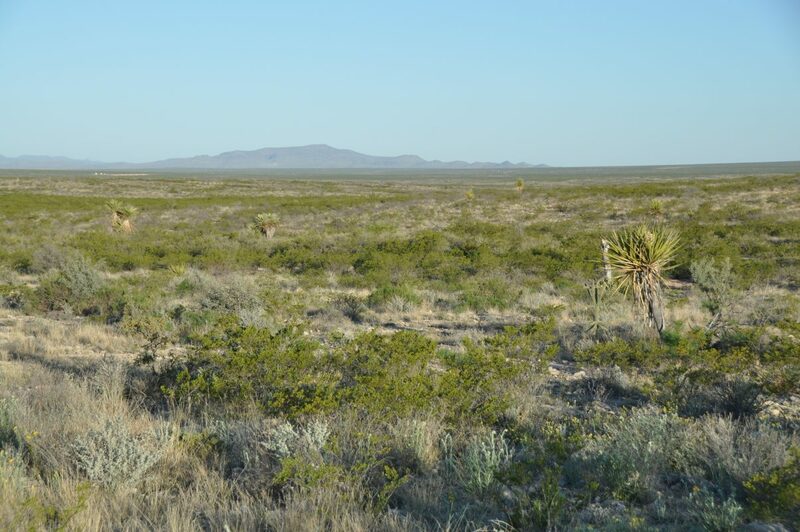 Ranch contains 9,079.5 gross mineral acres total, and Seller (Blackbeard Resources, LLC) has 25% of minerals. 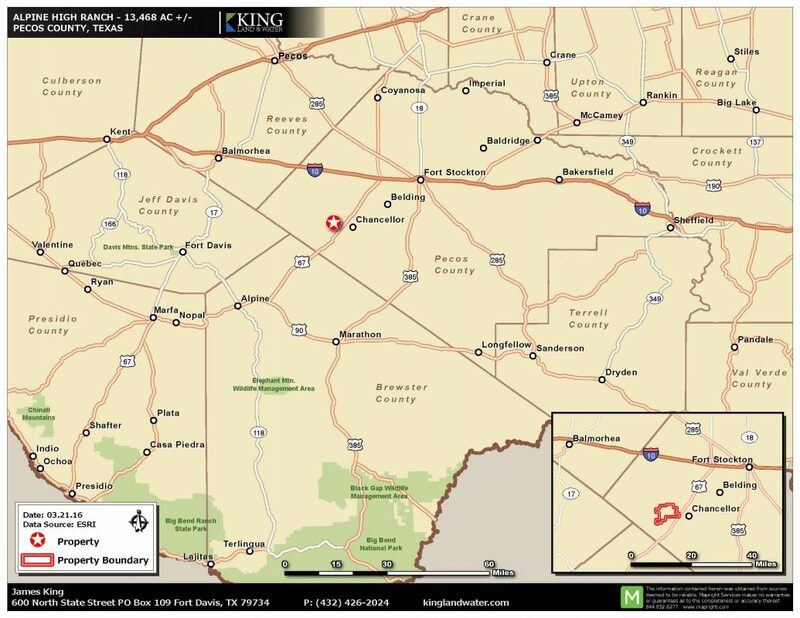 Buyer will receive Seller’s mineral interest, which equates to 25% of total, or approximately 2,269.88 net mineral acres. 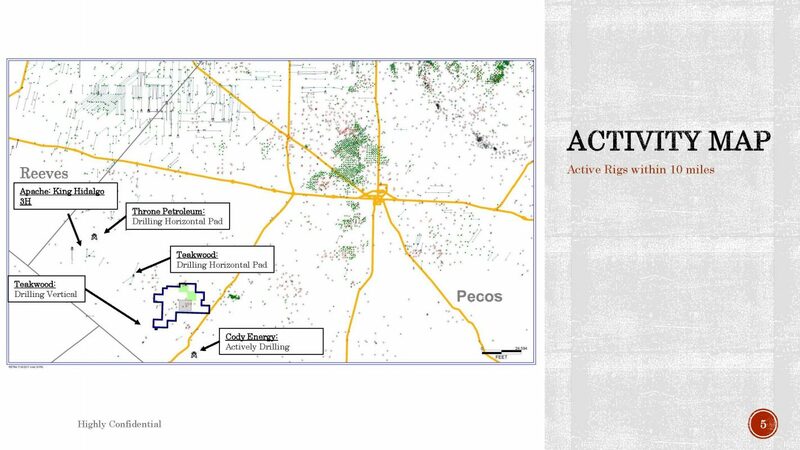 All minerals are currently unleased except for 704 acres around a shut-in gas well. 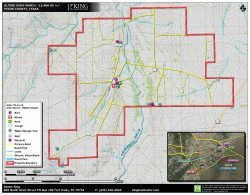 Most recent oil and gas lease on mineral classified land was in 2011 on about 3,058 acres for $500/ac, 3-year term and 25% royalty. That lease is now expired, and lands are available for a new lease. 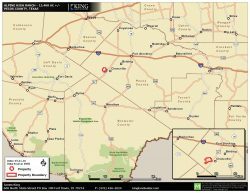 Mineral classified lands have minerals owned by the State of Texas. 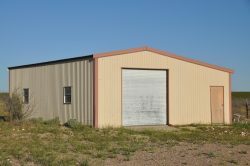 Surface owner of the land acts as agent for the State and equally shares the lease bonus and royalty with the State. 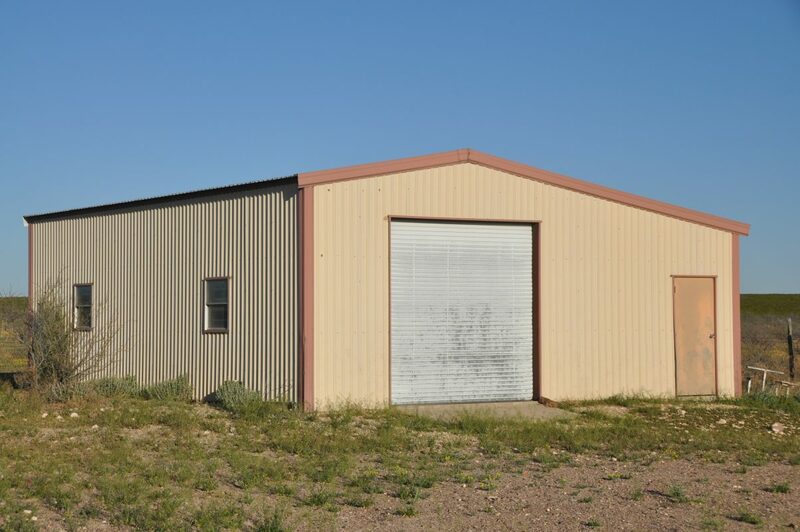 Buyer will receive all the benefits due to surface owner on mineral classified lands. 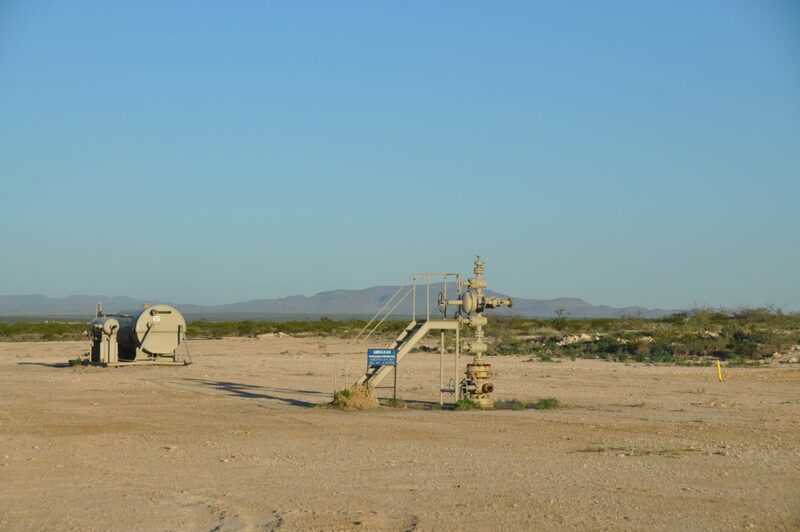 Historical gas production from wells on Alpine High Ranch minerals is about 8,300,000 MCF, (where 1 MCF = 1,000 cu ft of gas). 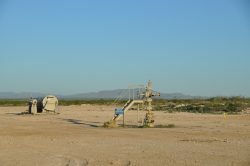 Productive wells on adjacent lands to the south add another 9,500,000 MCF. The vast majority of gas production is from the Devonian reservoir at depth of about 13,000 ft. The previous owner Abraxas acquired a proprietary 3D seismic survey covering about 39 square miles in 2001. 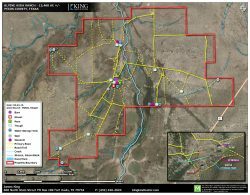 Seller of the ranch will grant a license to this seismic data to a new Purchaser. 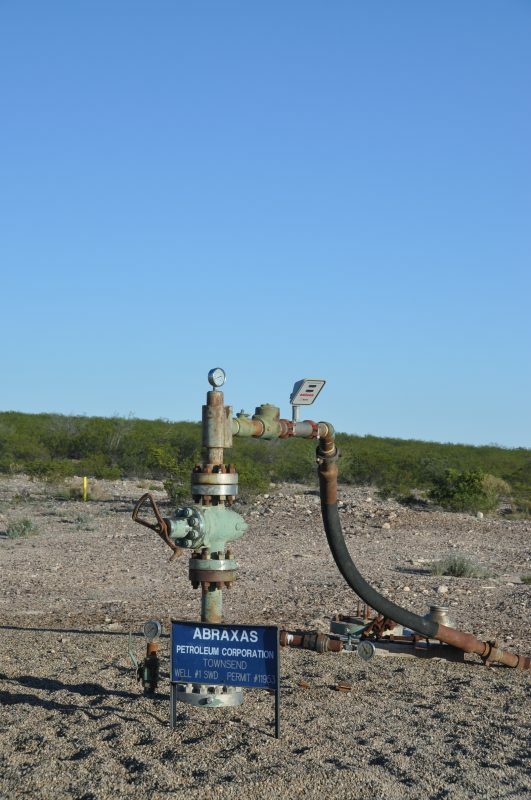 Abraxas utilized the 3D seismic data to successfully drill horizontal wells on closed structures. Some structures remain untested.